A dance workshop with everybody’s equal value as the theme, with a starting point in the United Nations Child Convention. We dance based on our own abilities and look at each other. We are different yet the same. 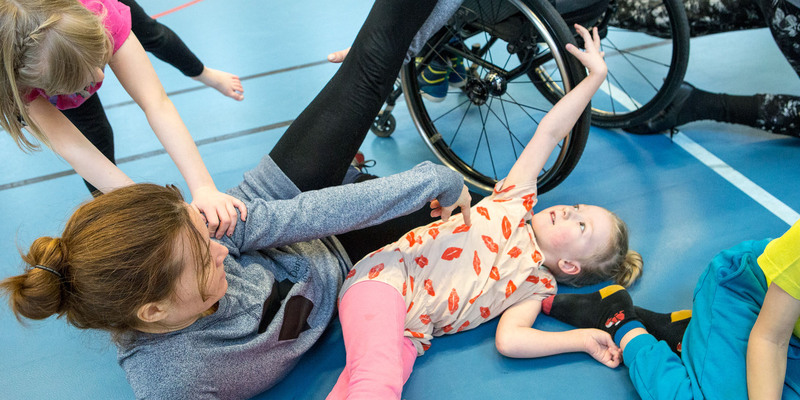 In this workshop we focus on people with different bodies and different functional abilities. By doing so, we hope to achieve a better understanding of other people. We warm up and do exercises at different tempos and take time for reflection. It is possible to dance both in wheelchairs and on crutches. The material can be adjusted according to the age of the group and can also be delivered as a family workshop. A primary school class, preferably together with a class from a special school. Workshop information sheet coming soon!